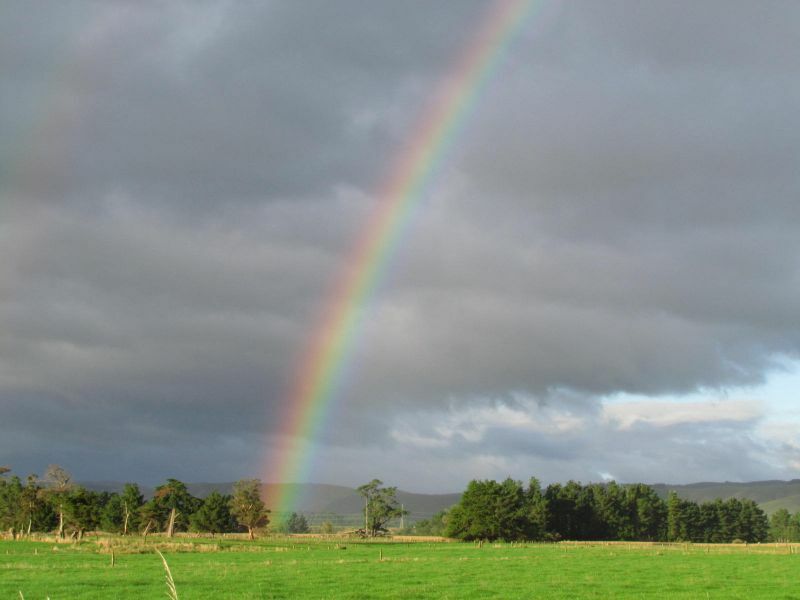 Driving back from the Manawatu today, we were lucky enough to encounter our second rainbow of the day. This one was particularly spectacular, set against the dusky blue-grey of the Tararua Ranges, and the dark rain cloud-filled sky. This one “ended” among a cluster of regenerating indigenous trees (possibly totara) on fields on the Manawatu River terraces just south of the Linton Army Camp turn-off [click here to view location]. The site of the Military Camp was bought by the government in 1941, and included an area by the Manawatu River which had been a major Rangitane village known as Te Kairanga (the place where plentiful food is gathered). Both the Military Camp and the area became kn own as Linton, but the original Linton is in fact about 6 kilometres south-west of the Army Camp, next to the main trunk line. It was named after James Linton, a Scotsman who was one of the first settlers of Palmerston North, arriving in 1871 [see photo right]. 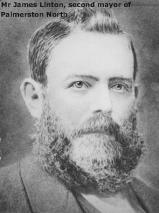 Linton served two terms as mayor of Palmerston North (1879-82 and 1884-5), and was a director and enthusiastic promoter of the Wellington and Manawatu Railway Company. Linton township was planned next to Linton Station, the last station before the line crossed the Manawatu River and reached the terminus at Longburn. However, the township of Linton never developed beyond a school and a few houses, and is now by-passed by both the railway and the state highway.